I love doing different types of jobs. Getting a commission to do a list of drawings is always a really fun departure from my very detailed full color paintings. 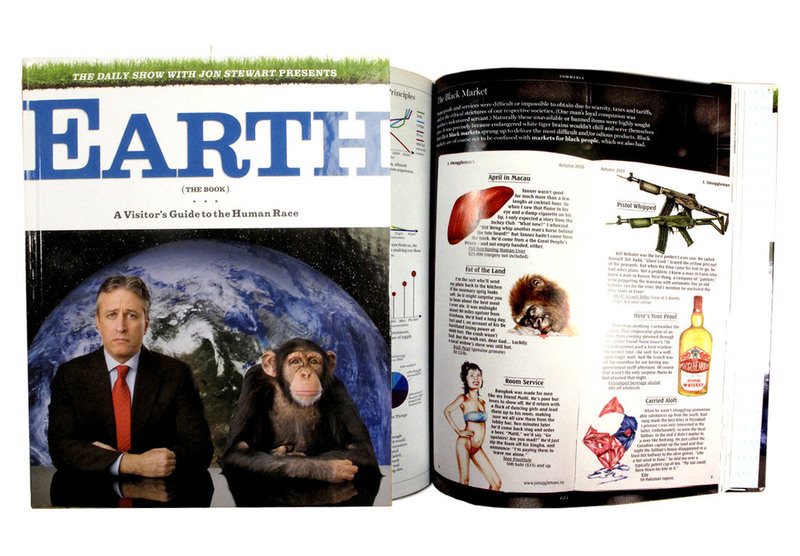 Getting assigned to the "Black Market" section of Earth (The Book) was a blast and as you can imagine, very funny. assignment was to create drawings of: a Yeti, Bushmeat, AK-47, Liver, Broken Kite, A Thai Prostitute, a Gorilla Head, and a bottle of Scotch. Now you will just have to read the book!